Our newest resin edge is made for your most challenging spaces—dining, library, meeting, and multipurpose rooms—all the places where furniture gets hard daily use. Not only is Impact Edge© resin extra tough, but we've paired it with our new Convex Profile for maximum resistance to damage. Impact Edge© is available with plastic laminate. 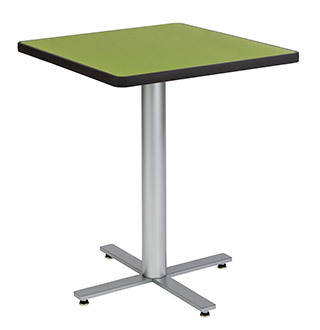 The edge forms a permanent, leak-proof, and hygienic bond to the table surface. Any of our wood or metal table bases may be specified with Impact Edge© tops, as may GEOS© Cylinder and Cube tables. We think Impact Edge© will become your first choice for public-space tables.